A tourist guidebook told me one of the most chilling stories I’ve ever heard. 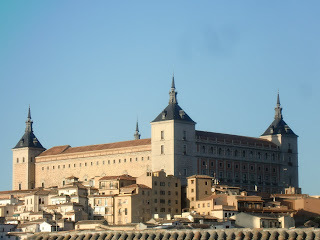 I was visiting Toledo in Spain so I wanted to read up on the Alcazar, the great fortress that dominates the city. 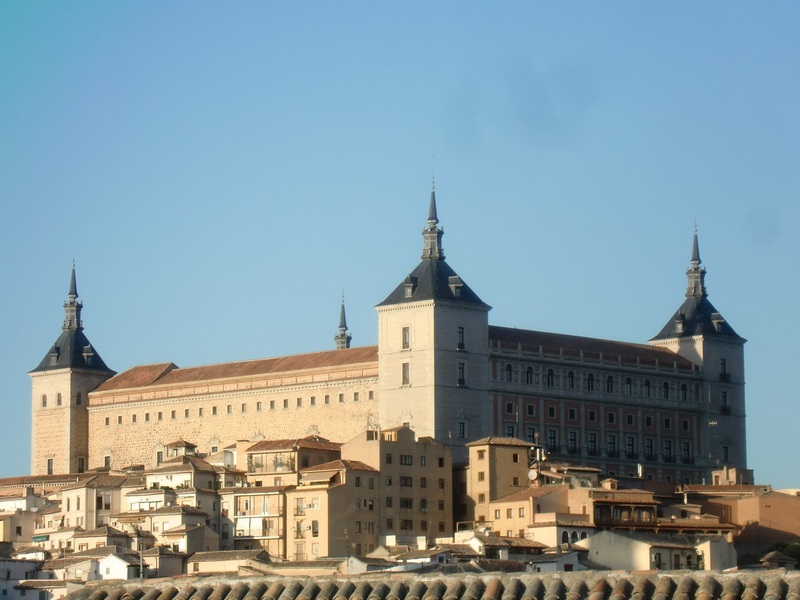 The book told a story from the dreadful years of the Spanish Civil War, when the fortress was a stronghold for the Nationalist forces. The Republican army kidnapped the 16 year old son of the opposing general, and threatened to kill him unless he surrendered the Alcazar. The captors put the boy on the phone with his father. "Surrender or they will shoot me," the teenager said. His father replied, "Then commend your soul to God, shout 'Long live Christ the King,' and die like a hero." My visit to Toledo was years ago, but I’ve never forgotten the general’s words. Was he a patriot? A hero? A fanatic? I don’t know. I do know that the story reminds us that in every age people have believed there were some things more important than life itself. Our first reading today is about brave young Jews who suffered and died for what they believed. But it doesn’t tell us the whole story—it would be too long to read at Mass. As you might expect, all seven of them die bravely for what they believe. But the climax of the story comes towards the end, when the cruel king Antiochus gives the mother a chance to convince her youngest son to save himself. She takes the chance eagerly—but instead of trying to change his mind, she begs him to accept death bravely. How is it possible for a father or a mother to say such things? There are two answers, one natural and the other supernatural. I’ve already given the natural answer. Some people hold beliefs and convictions that are stronger than the fear of death itself. There have been martyrs in many religious traditions, and men and women who have died for their political beliefs. And of course as Remembrance Day nears, we recognize the millions of soldiers and sailors and airmen who died defending human freedom. Courage like that is one of the noblest attributes of human nature. But there is a supernatural answer. The general, the Jewish mother, and her sons all shared a religious belief. They had faith in the resurrection of the dead, although in different ways. The readings today are meant to make us think about our own faith in the resurrection. Do our hearts cherish this belief like the fourth son who professes it boldly even under torture? Do we have the practical faith in the resurrection of the dead that his mother showed when she told the seventh son “Accept death, so that in God’s mercy I may get you back along with your brothers”? Today’s Gospel doesn’t mention the seven brothers or their mother, but it helps us to admire their faith. The exchange between Jesus and the Sadducees points us to something very important: Jews did not have a uniform belief in the resurrection of the dead; the doctrine that developed late in Israel history. The Sadducees were opposed to the Pharisees, who taught that the just would rise again. This was a real point of dispute. So compare our situation to that of these devout Jews. Our faith in the resurrection of the body is central, not disputed. We don’t side with one group in a religious debate, but with the whole Church, from its very beginning. We rely on the most convincing of all arguments: the fact that Jesus himself rose from the dead. Convincing you that Jesus rose from the dead and that we will rise from the dead is not the purpose of this homily. I can assume that most if not all of the congregation believes the Creed that we profess each Sunday. The question for us today is practical, not theological. What difference does our faith in the resurrection from the dead mean in our lives? It’s a fair bet that none of us will have to answer the question as directly as the mother and her sons. Still, do we meet the less challenging forms of the question with at least a shadow of their courage and faith? We are challenged to put our faith in the resurrection—which includes our belief in eternal life—every time someone we love dies or falls gravely ill. Knowing we are children of the resurrection means knowing that death is not the end or the ultimate evil. We are challenged to look beyond the limits of earthly existence whenever our earthly plans are threatened by those who attack us for being Christians. We won’t be forced to deny our faith under pain of death, like the Jewish martyrs, but we may be tempted to it by fear of losing a promotion or tenure or friends. That’s when we need to laugh at the death of our ambitions, because of the hope that is within our hearts. We must never doubt that there are some things more important than life itself, nor of the fact that the suffering, death and resurrection of Jesus is the ultimate proof of that belief. And during this month of November, traditionally the month of prayer for the Holy Souls, we need a practical faith in the resurrection of the dead that spurs us on to generous prayer for the faithful departed, because God is a God of the living, not the dead.